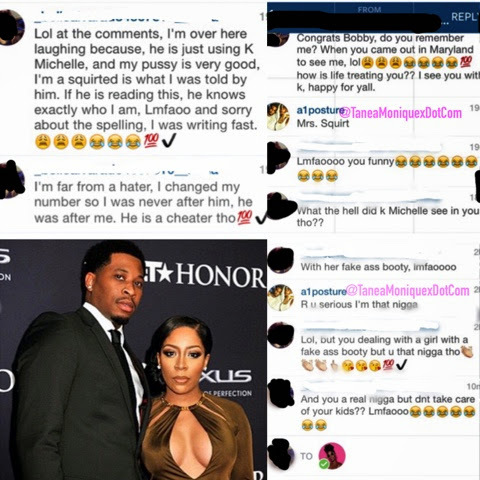 Yesterday we received some interesting information on K. Michelle's man, Bobby Maze. According to the source, Maze is a dead beat who is thirsty for attention since the NBA didn't work out for him! If you're familiar with college basketball, you know Bobby Maze attended Tennessee University were he was a standout athlete. He finally got his big break in the spotlight by appearing on K. Michelle's new show My Life since overseas basketball was his last resort to the NBA. Since his introduction women have come out of the wood works flocking to him but the women who have dealt with him first hand are saying he's a dead beat and doesn't take care of any of his children. One of his baby mothers Angela Stylez claim he's back on child support and never sees his daughter. 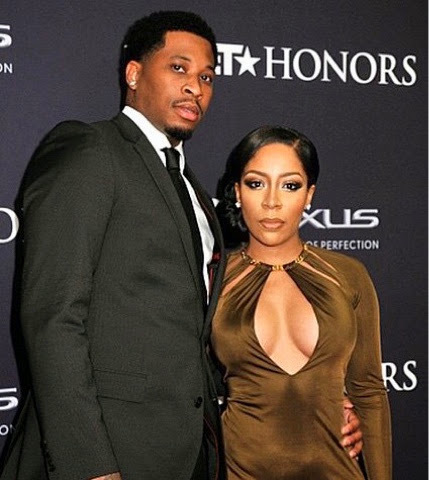 But back to the tea, we received the scoop from a woman saying he's using K. Michelle. And she's concerned because she can do so much better! She then leaked direct messages between the two, to confirm she isn't lying about their encounter. Bobby and K' appeared on the red carpet at the BET Honors two weeks ago. Disclaimer: TMX Spillage are screen shots of direct messages/comments. We have no way of proving if the allegations are true or false.